Smoking is terrible, we all know that. But it's terribly addictive and...disgustingly stinky. Your fingers reek, your clothes are tainted and the air, oh the air. 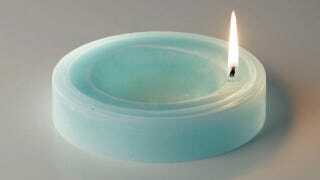 This candle ashtray tries to make it a wee less smelly.